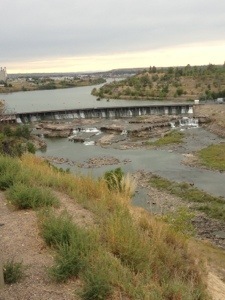 Day 4: Great Falls, MT | Hold on, I'll tell you! 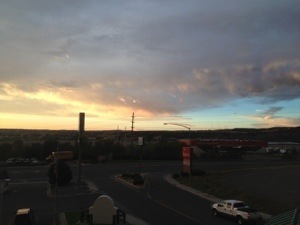 Woke up in Billings to a beautiful sunrise. We stayed at the Boot Hill Inn last night and we highly recommend it. You can tell the owner runs the place. Enough said. 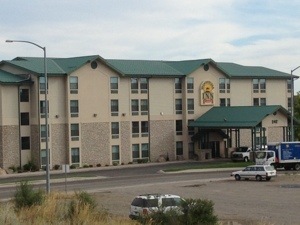 The hotel is named for the Boot Hill Cemetery across the street. 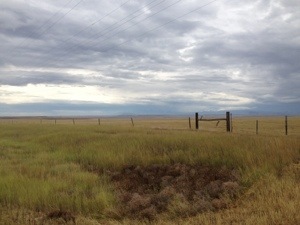 There are many Boot Hill Cemeteries across the west named as such since many of the dead died with their boots on. We checked it out this morning. In boots and spurs they lie and on this hill find rest. 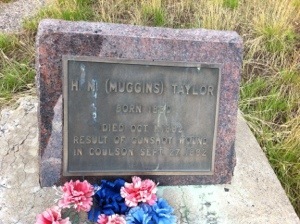 The most famous resident of this cemetery is “Muggins” Taylor. 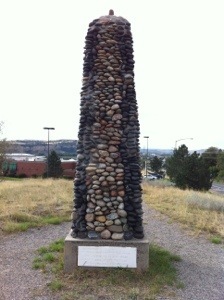 He took the news of Custer’s Massacre from the battlefield to Bozeman. Later, when he was a Deputy Sheriff, he was gunned down in Coulson’s Laundry (Coulson, WY) as he attempted to stop the laundresses’ drunken husband from beating her. I wonder who put the flowers here. It’s nice to know he’s not forgotten. 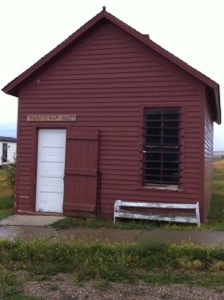 We noticed this little church in Broadview, MT. 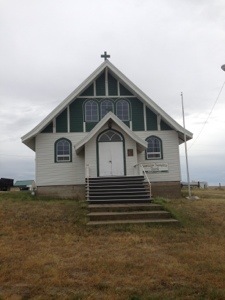 St. Theresa’s. 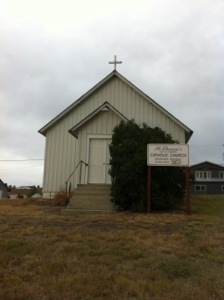 I must say that it does a heart good to see how faith is the center of so many communities that are out in the middle of nowhere. I had Paul stop so we could get postcard stamps. I know what you’re thinking, with cell phones and Facebook and email and blogs why would I bother with postcards? 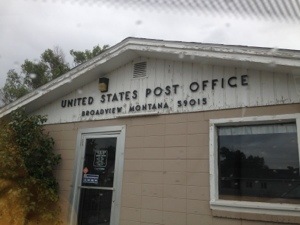 Come on, tell the truth… don’t you still love to get a postcard in the snail mail?? 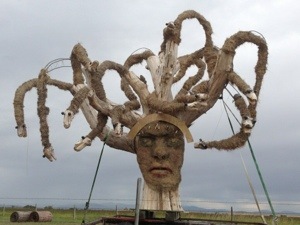 How’s this for roadside fun? 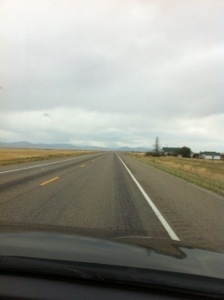 We are currently traveling on the Lewis and Clark trail. Just a little more than 200 years have gone by and people are still drawn to the West. 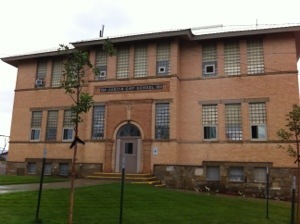 Great Falls, MT! 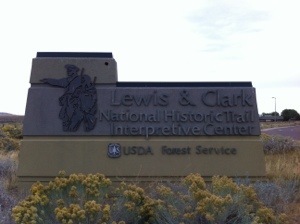 I am so excited about visiting the Lewis and Clark Interpretive Center here in Great Falls. What a fabulous place! Everything you could ever want to know about the Corps of Discovery. (It’s on my bucket list to take a trip starting in St. Louis and follow their trail to the Pacific) If you are ever in Great Falls, you must make a stop here. It truly brings home what Lewis and Clark accomplished! 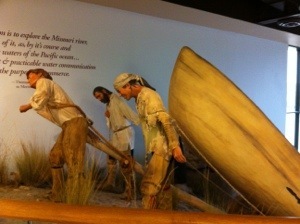 One of the exhibits that shows how they portaged around the falls. 18 miles overland to avoid the five falls in the river. 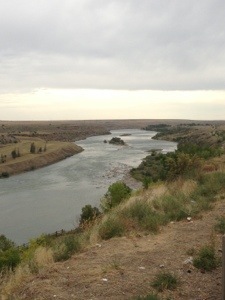 We are staying tonight in Great Falls and are so excited about a bucket list item we will check off tomorrow. Stay tuned!